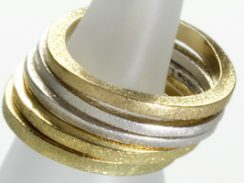 Stratum Bangle Gold. 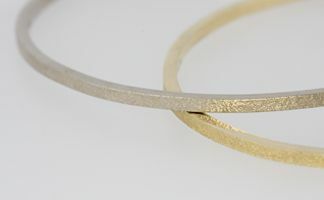 Inspired by the rock formation of the North Cornish coast, each bangle makes its own mark and finds its own rhythm if placed together or they can remain aloof. 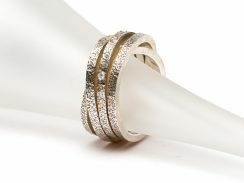 18ct yellow gold £945, 18ct white gold £1000. Different sizes available – please state Small (approx. 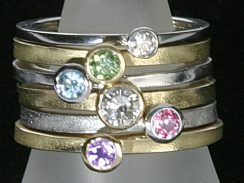 19cm), Medium (approx. 21cm) or Large (approx. 23cm) in ‘order notes’ at checkout.